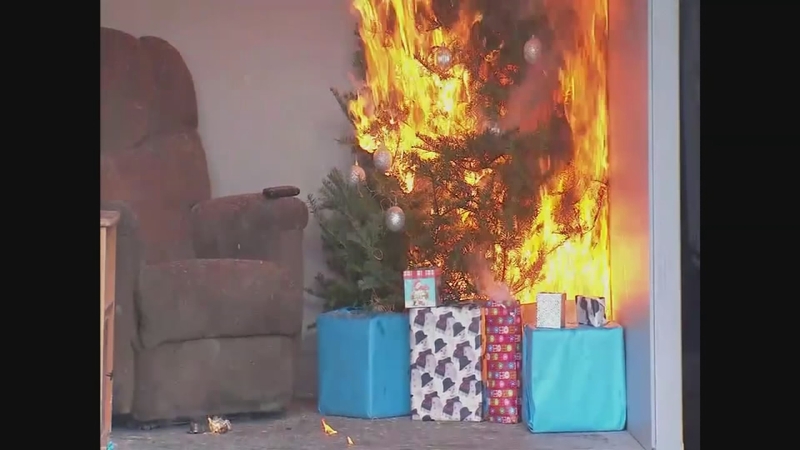 Keeping your Christmas tree watered could make a huge difference should it catch on fire. In the video above, the tree on the left was not watered regularly, while the tree on the right did get watered regularly. You can see the tree on the left burns much faster. RELATED: How quickly could your tree catch on fire? According to the National Fire Protection Association, keeping a Christmas tree watered will keep the moisture content in its needles high. In turn, this will help limit accidental ignition and prevent the rapid spread of flames.